Clear the calendar. Save the date. 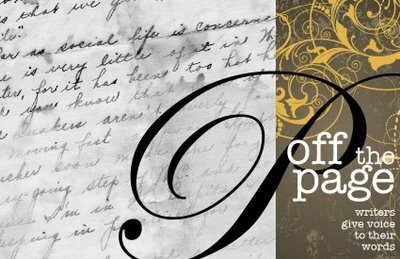 The 3rd annual Off the Page event nears! Enjoy an evening celebration of free expression, free music, and free admission as eight Oregon writers -- and a singer/musician -- share their works of poetry, fiction, memoir, and more. At the Green Salmon Coffeehouse, situated in the center of the oceanfront village of Yachats, Oregon. Featuring writers Khlo Brateng, Sheila Evans, Flip Garrison, Kake Huck, Kate Maloy, Drew Myron, Rick Schultze, Mark Thalman and musician Richard Sharpless. Doors open and music starts at 6:30pm. Reading at 7pm. All ages, attitude & experience welcome.